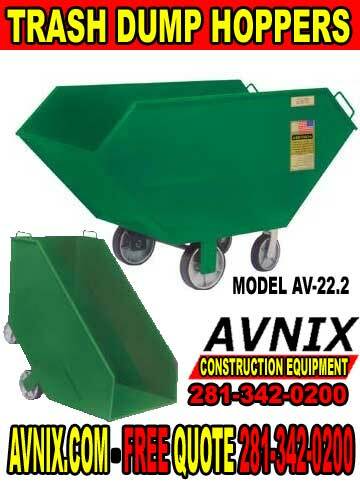 Ideal for Clean Up & Other Material Handling Jobs. 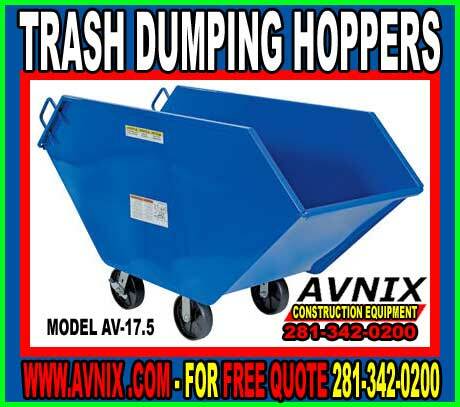 Avnix Metal Garbage, Chip & Trash Dump Hoppers are perfect for transporting bulk materials, trash, rubbish, tear-off and debris. pointed ends allow easy loading and dumping. 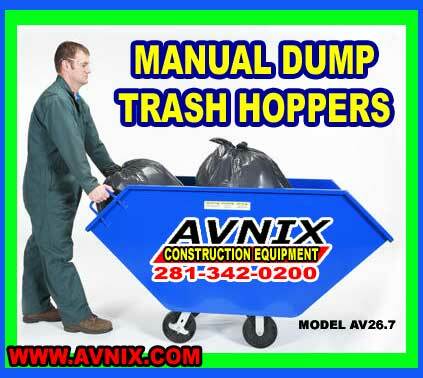 Our dump hopper is balanced to maneuver and discharge load with less effort. All welded 14 gauge steel construction with commercial welds. Optional leak-proof seams offered. Blue powder coat finish.